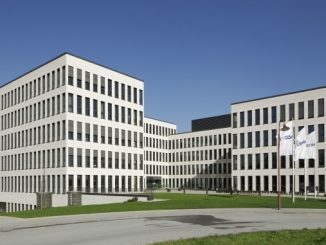 Energy efficient mortgages being advanced by the EMF-ECBC can be a key element in boosting green covered bonds and helping the EU meet energy targets, according to an industry survey and participants at a stakeholder meeting today (Thursday), where a Commission official welcomed the initiative. The European Mortgage Federation-European Covered Bond Council (EMF-ECBC) and partners launched the Energy Efficient Mortgages initiative in September to explore ways to mobilise private mortgage financing to boost energy efficient building renovation across Europe, with the ultimate objective of establishing a framework for a standardised Energy Efficient Mortgage product that lenders can offer to borrowers seeking to purchase and retrofit energy efficient properties. 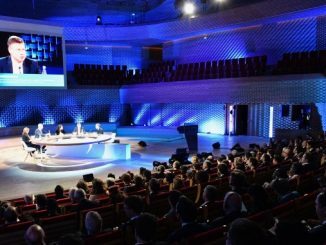 The EMF-ECBC says the initiative responds to the European Commission’s energy agenda, with the EU having set itself an overall 20% energy savings target by 2020 and considering a 30% target by 2030. At today’s stakeholder meeting in Brussels, Paul Hodson, head of unit, DG Energy, European Commission (pictured), welcomed the initiative, noting that building renovation would be a key way in which future targeted reduction in EU energy consumption could be met, but that financing of such renovation was underdeveloped. By improving the energy efficiency of buildings, the EU’s total energy consumption could be reduced by 5%-6% and CO2 emissions by 5%, according to the EMF-ECBC. The initiative is in the process of gaining funding from an EU Horizon 2020 Eu80bn research and innovation investment programme. Luca Bertalot, EMF-ECBC secretary general, said the application “has been extremely favourably evaluated” by the European Commission, and that the EMF-ECBC has been invited to complete the final steps of the process to proceed to the signing of the grant agreement. “We consider this as important recognition of and support for our initiative,” he said. Of 30 responses from members taken into account in the EMF-ECBC survey, 18 detailed how they fund, or envisage to fund, green and/or energy efficient mortgages. Seven issuers said they fund or envisage that they will fund green mortgages via conventional funding instruments, five emphasised current practices or a preference for funding under a green bond framework, and two expressed a possibility on combining the approaches, i.e. green and conventional funding instruments. Eight of the 30 overall respondents said they have experienced an increase in investor demand for green debt products, with these issuers variously highlighting that such products have attracted many investors new to their institution, and that there is an increasingly large and diversified set of investors expressing interest and asking questions about green issuance, and aware of reputational factors. 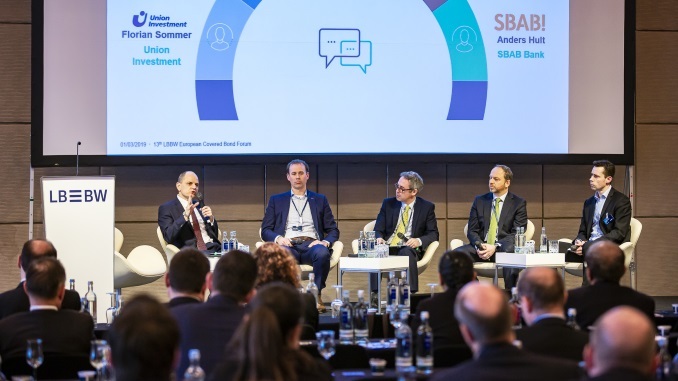 At today’s meeting, Bodo Winkler, head of credit treasury and investor relations at Berlin Hyp, noted that in a conventional Eu500m eight year Pfandbrief yesterday (Wednesday) it sold tickets to investors that had only begun participating in its issuance when it sold its first green Pfandbrief and first green senior unsecured deal. EMF-ECBC policy adviser Marie Louise Andersen said that a key finding of the survey was an imbalance between the high demand and a lack of supply. Eleven respondents expect “robust” investor demand for energy efficient mortgage-backed securities, such as covered bonds or RMBS, with some arguing that demand will continue to outpace supply as new SRI/ESG funds are established and noting that very positive responses have already been received for green bonds related to energy efficient real estate. 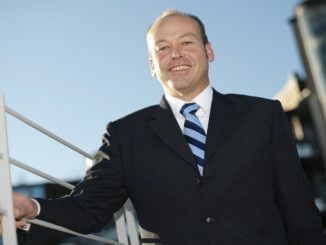 Miguel Garcia de Eulate, head of treasury and capital markets at Caja Rural de Navarra – which launched a sustainable cédulas in November – said the energy efficient mortgage initiative should help in this respect, given that the market currently suffers from a lack of harmonisation over green standards. “We need to be able to label mortgages as green to be able to pursue his path,” he said. An energy efficient loan introduced by MünchenerHyp that offers a discount of several basis points on its interest rate has since 2015 proven a success, according to Claudia Bärdges-Koch, its deputy head of treasury, with it accounting for one in 10 loans since November 2015. She said that the clearly defined loan will allow MünchenerHyp to in future regularly issue sustainable Pfandbriefe. Meanwhile, Christian Thun, CEO of European DataWarehouse – which collates information on ABS – noted that a Storm RMBS for Dutch mortgage provider Obvion (part of the Rabobank group) last year that was the first green RMBS globally was one of the most enquired-about transactions in the second half of 2016. 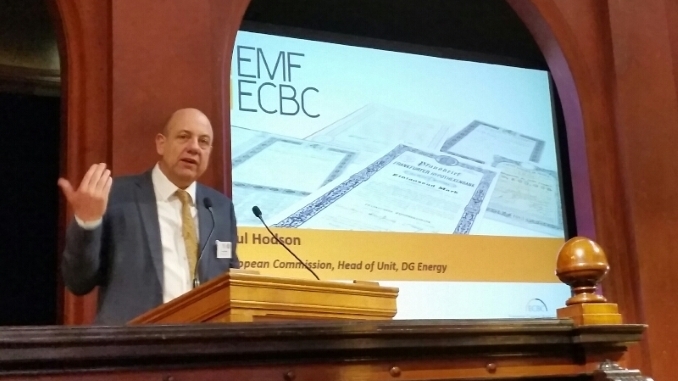 The EMF-ECBC and partners plan to set up pilot projects in Germany, Italy and Sweden. DNB Boligkreditt has established a green covered bond framework based on residential mortgages for the most energy efficient properties in Norway, after compatriot SpareBank 1 Boligkreditt tightened its criteria on the basis of feedback during its Climate Bonds Initiative certification process. 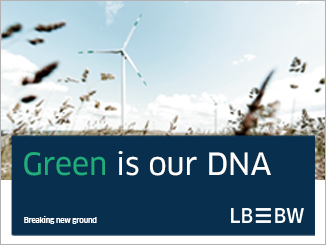 NordLB Luxembourg Covered Bond Bank is preparing to issue what it expects to be the first covered bond backed by renewable energy assets and launched under a dedicated law, with its debut likely in early 2019, according to officials at the issuer. The European Commission is “looking positively” at reducing capital charges to boost green loans such as energy efficient mortgages, Valdis Dombrovskis said today (Tuesday). A draft definition for such loans is due in February ahead of an EeMAP pilot phase that could support such a move.